Hong Kong, the Asia's World City, is a territory rich of heritage and culture, renowned for its unique and vibrant local gastronomic scene. Lumieres Hong Kong festival will make its debut on 23, 24 and 25 November in celebration of the 20th Anniversary of the Hong Kong SAR Establishment. Be at the heart of the festival! Participate fully in the 2016 Festival of Lights. On the app, the website or social networks ... your turn to play! Let's light up our city! 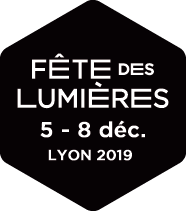 The Festival of lights is rooted in its territory and Lyon’s history. This historical bond is especially expressed on the 8th of December when everyone enlightens its windows or balcony with candles. This lighting for the Art Deco building, located in the heart of the city, is planned for 2017. It is part of a long-term cooperation with Vietnam. As part of a continuing collaboration with China, the City of Lyon took part in the famous Lantern Festival of Zigong, a city in Sichuan province that now partners with Lyon. Since the program scheduled for 2015 was postponed, there will be no call for projects this year. From January 14 to 17, 2016, the first edition of Lumiere London made the British capital glow. Thirty-one artistic installations were presented in the streets and emblematic neighborhoods of central London, from Mayfair to Westminster, by way of Regent Street, Piccadilly Circus and King's Cross.